Our Fine Arts program inspires each child to find an artistic voice. 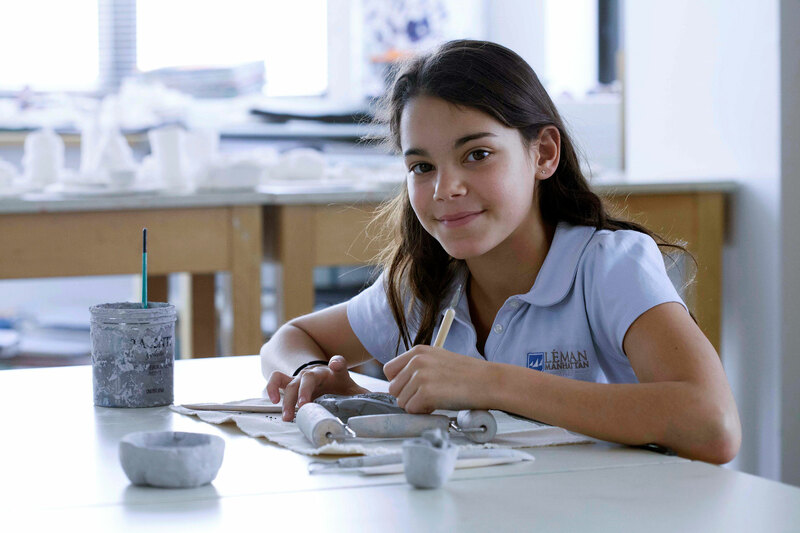 From woodworking in the Lower School to ceramics, digital music and film classes in the Upper School, the arts flourish at Léman. Through the study of Fine Arts in an internationally-minded school with access to the rich culture of New York City, our students have a deeper understanding of the human experience and the greater world. Whether in the classroom, in the studio, or on the stage, our artists, musicians, and actors are challenged to achieve their best work as they develop both artistic and life skills. With incomparable performance spaces across both campuses, our facilities reflect our dedication to foster children's creativity and sense of self-expression. 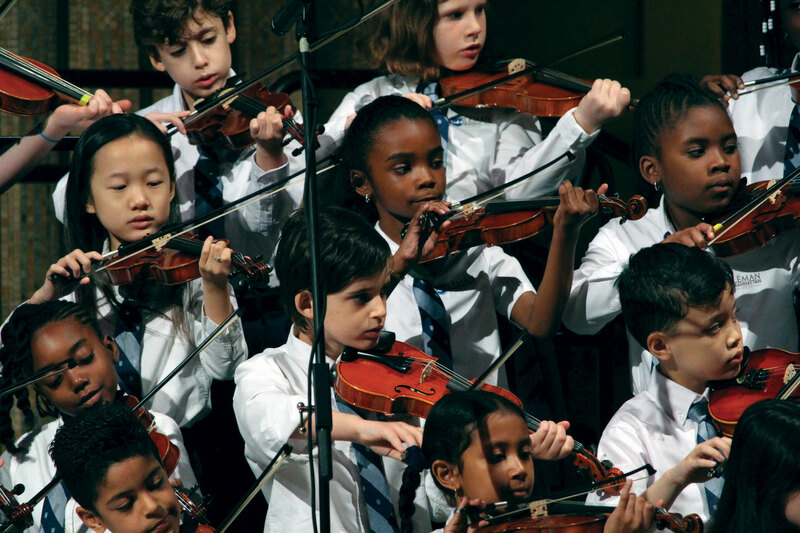 Lower School performances take place in the historic Broad Street Ballroom, and our Upper School campus features a 400-seat theater as well as art studios and a band room that overlook the harbor and the Statue of Liberty to inspire our students. Starting in Early Childhood, students build music literacy at Léman. Twice a week music education in PreK builds to our Signature Strings Program, a unique hybrid of general music and instrumental violin instruction for all K-3rd Grade students. In Elementary and Middle School, students participate in band or chorus, engaging their artistic sensitivity and honing their ensemble skills. In Upper School, we offer a range of choral, instrumental and digital music electives to broaden students' exposure to more sophisticated repertoire and incorporate technology. Léman Conservatory, our after-school private lesson program, partners students with world-class professionals affiliated with prestigious institutions such as Lincoln Center, Carnegie Hall, Broadway, and New York City jazz clubs. Theatre at Léman is designed to facilitate students' growth into caring and creative members of our community. Students of all levels of experience are challenged both as an ensemble and as individuals to become confident performers and to express themselves consciously and effectively. 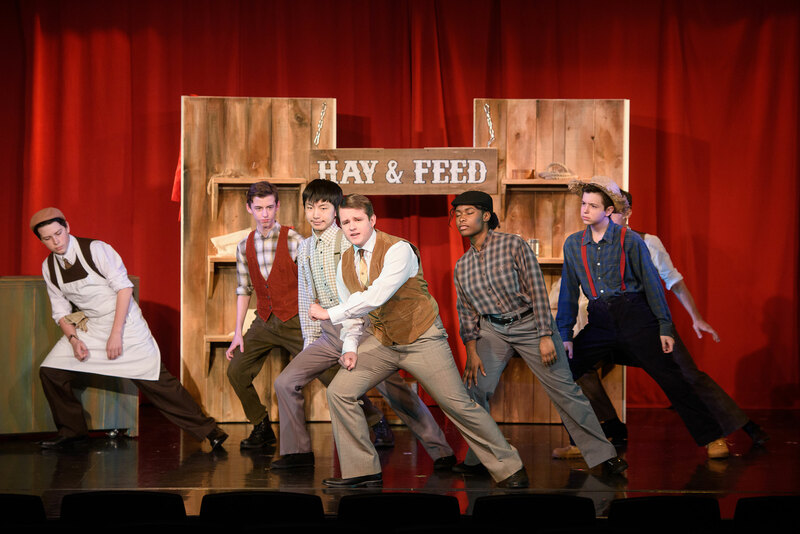 All students take theatre class throughout Middle School, which focuses on group collaboration, physical and vocal characterization, and specificity of situation and story. In High School, students can select performance and nonperformance electives as well as opt for a deeper concentration in IB Theatre. Signature programs such as Léman Main Stage, One Act Plays, and Scene Night enhance students' artistic learning. The Léman Visual Arts program is notable in its scope and focus. It encourages students to develop their technical skills, communicate the human experience, and advance their creativity and imagination. Visual arts offerings create an appreciation of the arts throughout the ages with projects that include drawing from life as well as photography, painting, collage, ceramics, mixed-media, sculpture, printmaking and woodworking. Our unparalleled arts studio facilities support the role of visual arts in the Léman academic experience - to experiment, problem-solve, and communicate individual ideas and interpretations through self-expression. Our Film offerings encourage students to develop personal expression and develop collaborative skills in their productions and analytical studies. The Léman film program also teaches students how to evaluate the use of sounds and images within their lives and build an understanding of how these elements are applied in contemporary culture. The program culminates with the IB Film course, where students explore all aspects of filmmaking, including film history, theory, and production. The annual Léman Film Festival inspires students to create original works and brings together an all-star line up of judges from the arts and entertainment industries to collaborate with our students.